Years ago I’d been to a function at Mosman’s Restaurant. I was struck by what a beautiful venue it was. I was there for a 92.9 Wedding Party, where you had to come along in your wedding dress or in bridesmaid wear in my case. Something different. 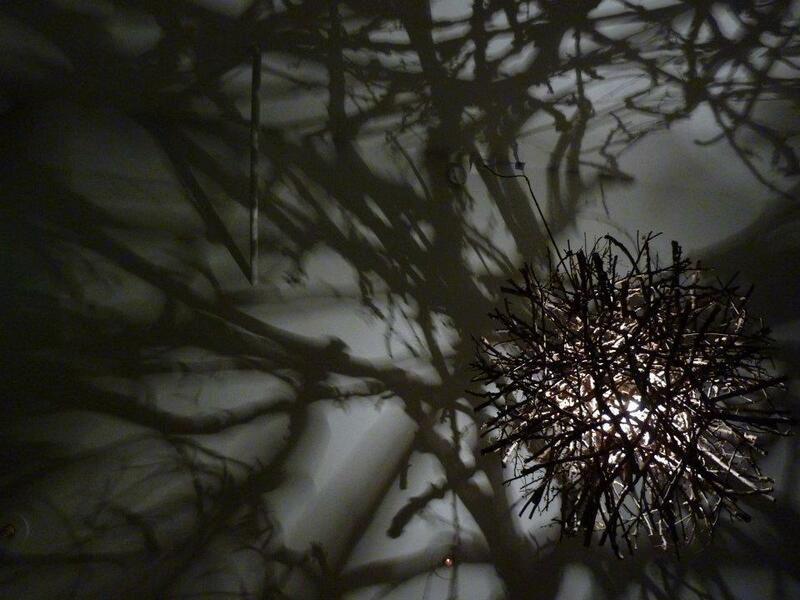 The problem was that on that particular night I was struck with incredibly bad hayfever. I thought the same thing was going to be happen when I head for my second visit. Spring and hayfever…. my long time enemy. So to alleviate the sniffles I stopped past the chemist for a little Telfast before I headed to dinner with GG. So that’s the spiel of my pre-dinner adventure. And then we arrived. I was heading along to Mosmans with thanks to another competition. 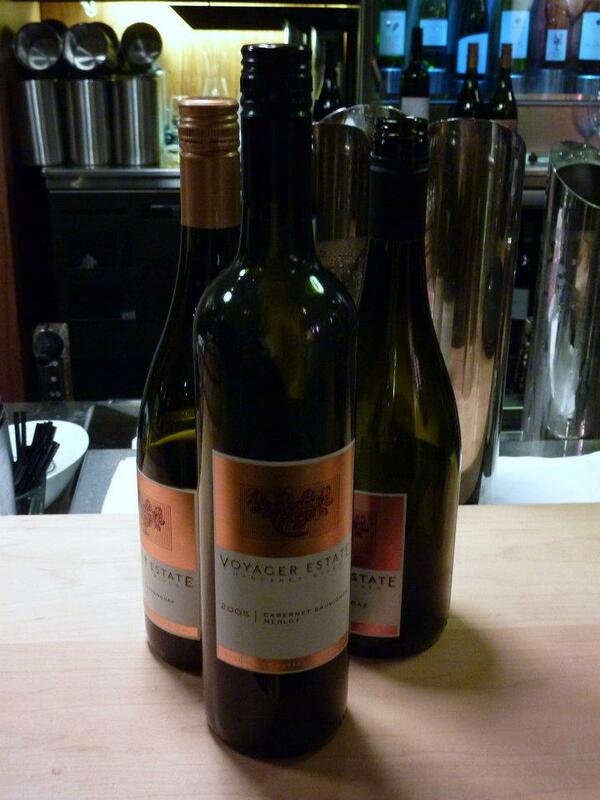 I managed to score GG and I couple of tickets to the Voyager Estate Degustation Dinner. I am incredibly, incredibly lucky on occasion. The first thing that struck both GG and I was how large a venue Mosmans was. Entirely picturesque perched on the side of the river like it is. Just stunning. And when we’d been last time it was more a stand up function so I hadn’t been able to really appreciate the size of the place. It’s very spacious with quite understated decor. GG and I were sat on a table with the Sales and Marketing Guru from Voyager and also their Chief Winemaker. There was also another gent, a fellow wine enthusiast. And every now and then the restaurant manager stole away a few minutes to enjoy some of the lovely food. 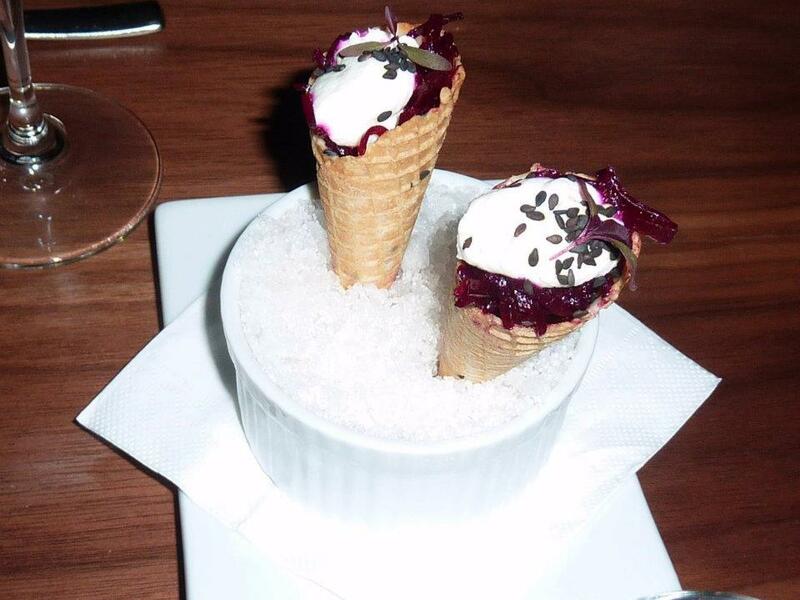 We began with some deliciously fresh bread and from there were presented with some elegant cornets filled with shredded beetroot and topped with goats cheese. The combination was entirely amazing, a little sweet and salty. Very nice starter. A Chenin came with this course and it was wonderfully light and fruity, a well matched accompaniment. Moving along we were given some of the new vintage 2011 SSB – crispy and zesty. And perfect with the spice gaspaco that was our second course. 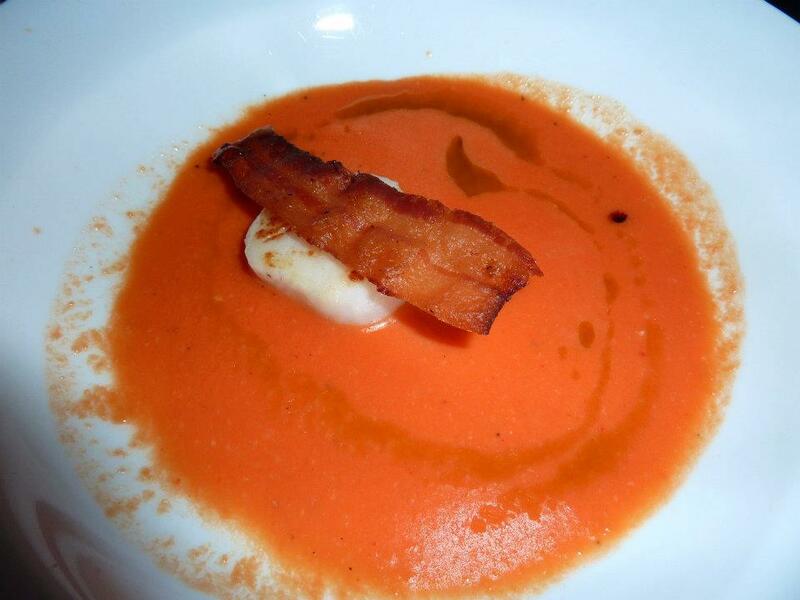 Deliciously tasty, all the more special with its sweet scallop and crispy pancetta balanced on top. I had been worried about the prospect of cold soup, but I need not have been because done right, as this was, it was fabulous! Next up was a seafood course. 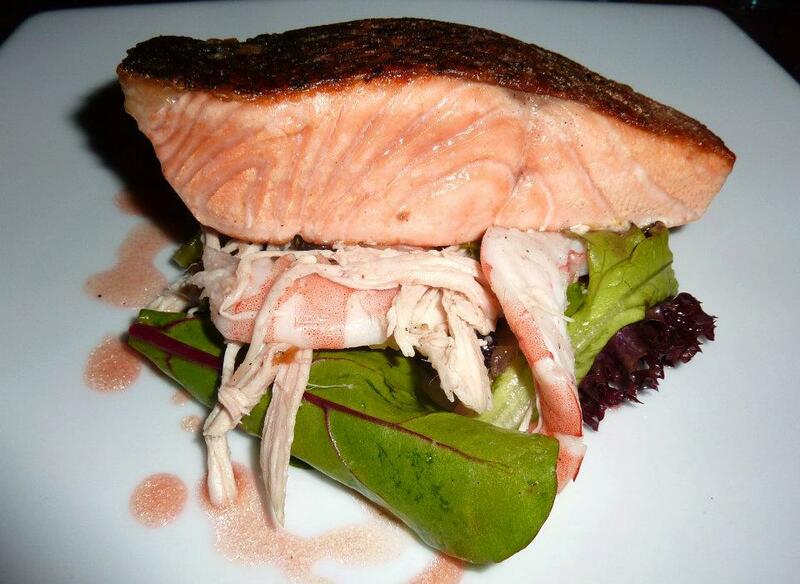 A very generous serve of crispy skinned salmon. Now as has been mentioned on previous musings I’m not a huge fish fan. I did try it though and couldn’t debate that it was well prepared, but I couldn’t get through it all. Needless to say though, with GG in tow it did not go to waste, and there were positives to the course, the best being the salad with its prawns and shredded chicken breast, which was a delight. All the more with its two vintages of chardonnay in tow. 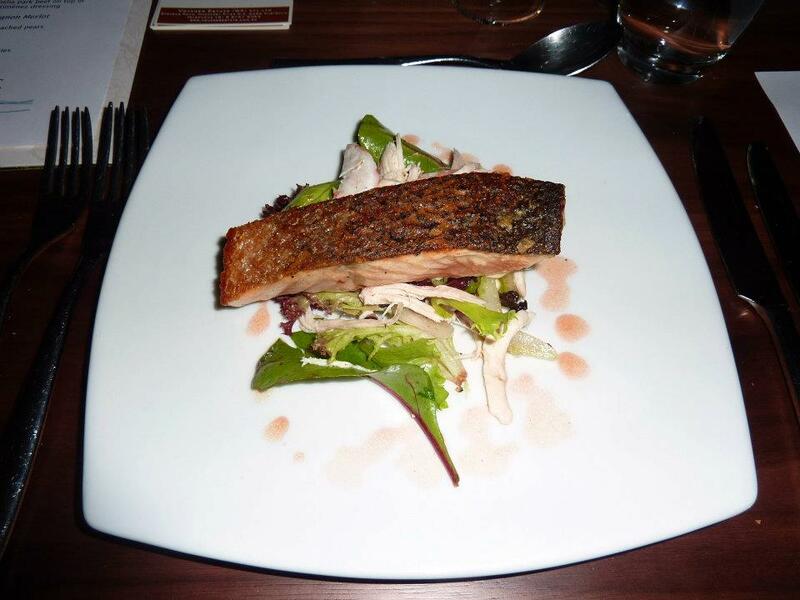 The buttery creamyness of the chardy served to enhanced the flavours of the salad. I enjoyed it all. 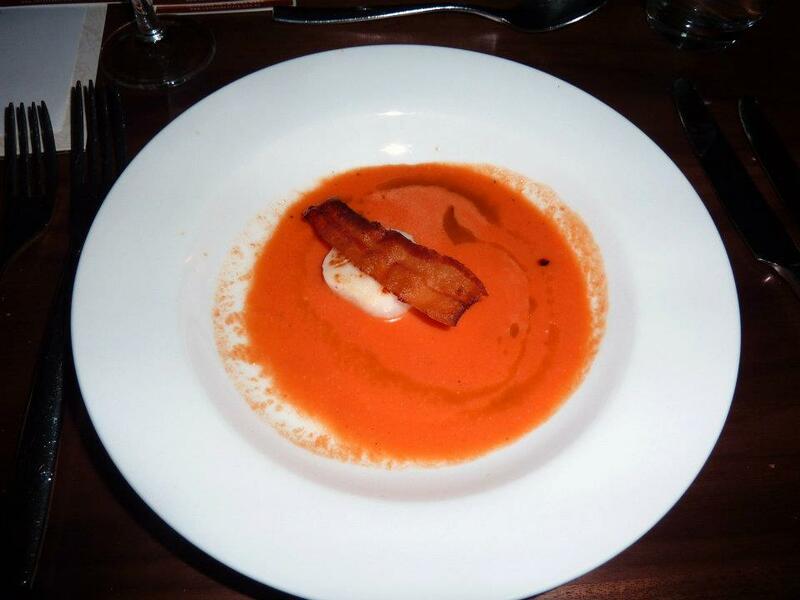 Next up it was time to switch to red meat and I was pleased that it was a more dainty serving. 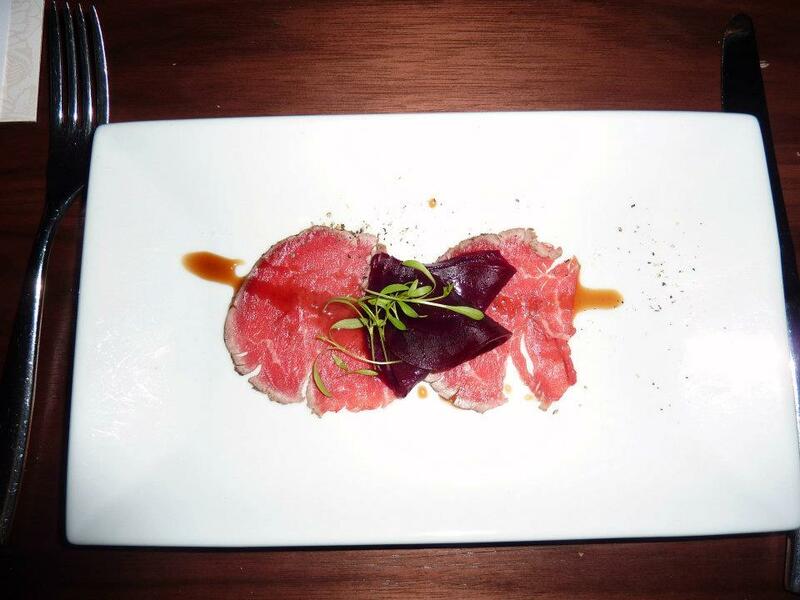 Delicate slithers of beef carpaccio, topped with beetroot (two dishes with beetroot – bonus marks right there) and a delectable Pedro Xeminez sauce. It might not have been a big serve but I seriously savoured every mouthful. Then before dessert there was a cheese course. Always fabulous for me when a tribute to cheese is included. 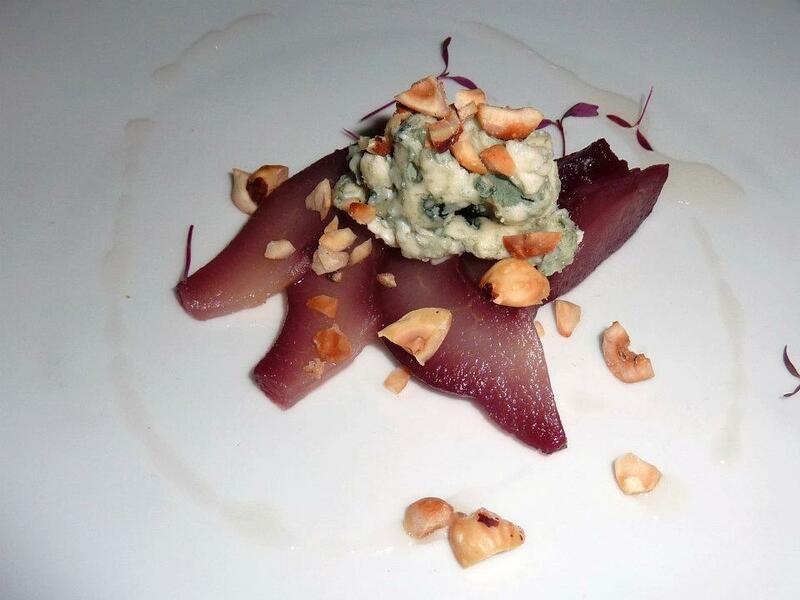 Especially when it is a tasty combination of red wine poached pears and roquefort blue cheese with a scattering of nuts. Happy sighs. I loved it. And I was super pleased when the lady to my right annnounced she wasn’t a blue cheese fan and presented her plate to me. Two serves of cheese, I am so incredibly lucky! 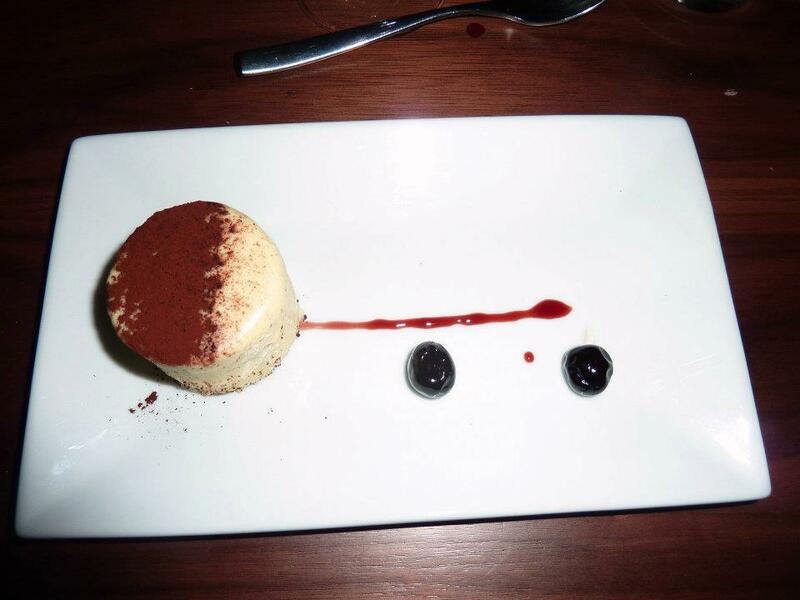 Finally came dessert, which was a rich tiramisu mousse, elegantly plated with two black cherries. 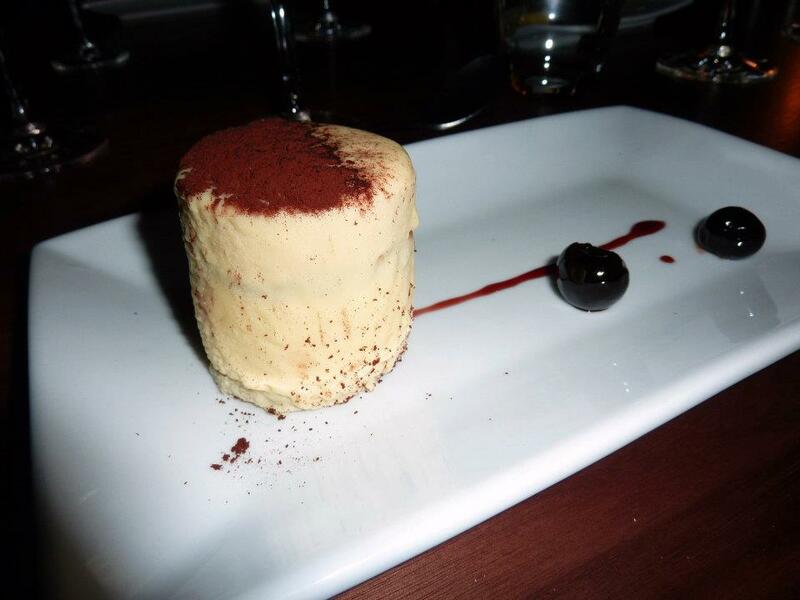 Indulgently creamy it was an inventive presentation of the more classic tiramisu and definitely left us feeling both well fed. 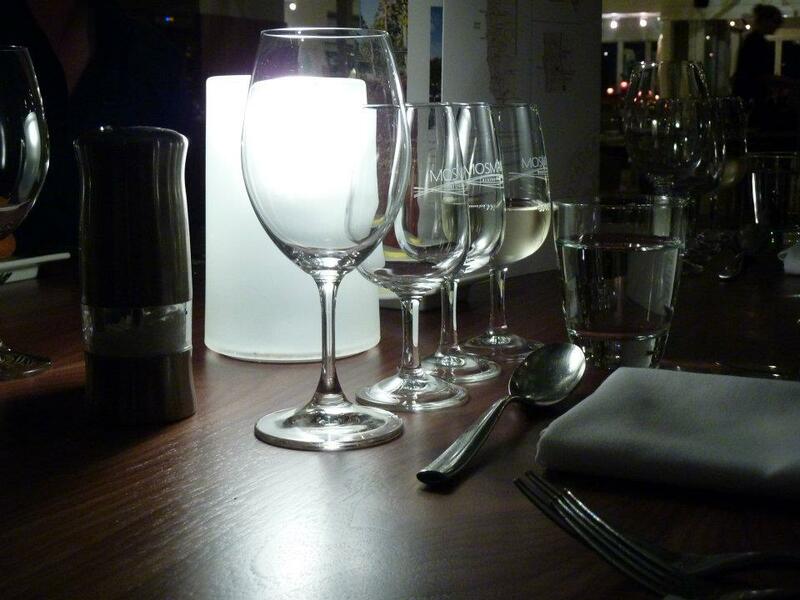 The wines were well matched and the pace of the meal was ideal. Very well timed, they have it down to a practised art at Mosmans. 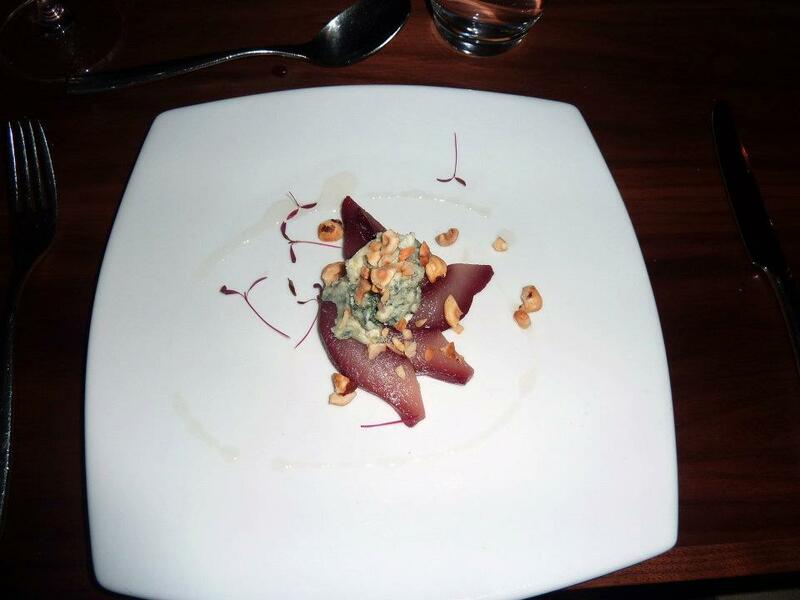 Very uninstrusive too, another plus for their degustation dining experience. I wouldn’t hestiate to head back to Mosmans for a special occasion, I only wish it was a little closer to home!